The 20th century French architect Le Corbusier, famous for his huge, inhuman structures, dedicated his first book To Authority. Too many of his successors seem to feel the same way. Now, in his new book The Human City: Urbanism For The Rest Of Us, Joel Kotkin says there’s a better way. Today’s urban planners seem to favor high density. Like Le Corbusier, they’d like people to live in tall, densely packed buildings, take mass transit to work, and scorn the “fatter and slower and dumber” residents of the suburb, to use a description from Seattle’s The Stranger that Kotkin quotes. The problem is that most people, especially people who have or want to have children, don’t like living that way, and that as American cities have become taller and denser, they have essentially become playgrounds for the rich and childless. “For all their impressive achievements, and sometimes inspiring architecture, high-density cores such as those in Manhattan, Seattle, San Francisco, Boston and Washington, D.C., have the lowest percentages of children,” Kotkin says in his new book. And it’s not just in America. Kotkin says big Asian cities have the lowest fertility rates on the planet, and in Hong Kong, 45% of couples say they’ve given up on having children. Yet politicians love these cities. So if people are lukewarm, why are politicians so enthusiastic about big urban development? I think there are three reasons: Snobbery, graft and politics. The snobbery comes from the fact that most media are headquartered in big cities and the people who work there are the kind of people who like big cities — often people who, as one of Taylor Swift’s songs has it, move to a “big ole city” in part as revenge on the places they come from. As Kotkin notes, the writers, pundits and academic types who write on the subject of cities tend to live in big cities; suburban and rural people are treated as losers, or just ignored, despite the fact that most people don’t live in big cities. And there’s a class thing going on, too. As Robert Bruegmann noted in his book, Sprawl: A Compact History, nobody minds when rich people build houses in the country. It’s when the middle class does it that we get complaints. 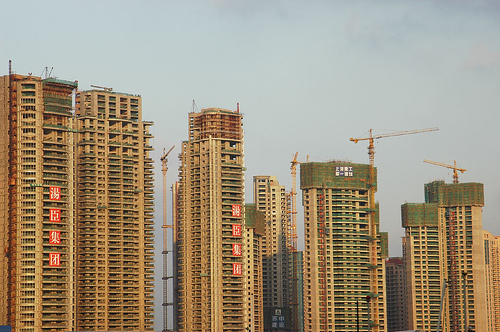 The graft is probably more important still: Big developments mean lots of permissions, many regulatory interactions and, of course, big budgets — all of which lend themselves to facilitating the transfer of money from developers to politicians. Frequently they’re government subsidized, which allows that money to come, ultimately but almost invisibly, from the pockets of taxpayers. Finally, there’s politics. Politicians like to pursue policies that encourage their political enemies to leave, while encouraging those who remain to vote for them. (This is known as “the Curley effect” after James Michael Curley, a former mayor of Boston.) People who have children, or plan to, tend to be more conservative, or at least more bourgeois, than those who do not. By encouraging high density and mass transit, urban politicians (who are almost always on the left) encourage people who might oppose them to “vote with their feet” and move to the suburbs. But that’s OK. Politicians don’t care about you. They care about power, in urban planning and in everything else.